Tue to Sun 11:00 - 18:00, restuarant and bars open til late. Situated just 2 minutes walk from Oxo Tower Wharf, this paved area becomes an oasis of outdoor eating as soon as the sun comes out. It's a picturesque spot to enjoy a drink, snack, or meal in one of the riverside restaurants or cafes with spectacular riverside views of the City and St. Paul's. The Gourmet Pizza Company is well known for their fuss-free style and hearty pizzas. There's a lovely village market feel to the area despite the concrete surrounding it. Browse around the shops and you'll be able to see some original pieces of sculpture, jewellery, ceramics, art, and fashion being made. There's also cycle hire shop London Bicycle Tour Company if you're in the mood for a guided sightseeing tour of London or a two-wheeled weekend break. Several Coin Street locations starred in the film 'Love Actually' including Oxo Tower Wharf. What are the best dining options near Gabriel's Wharf London? Gabriel's Wharf gyms, sporting activities, health & beauty and fitness. The best pubs near London Gabriel's Wharf. 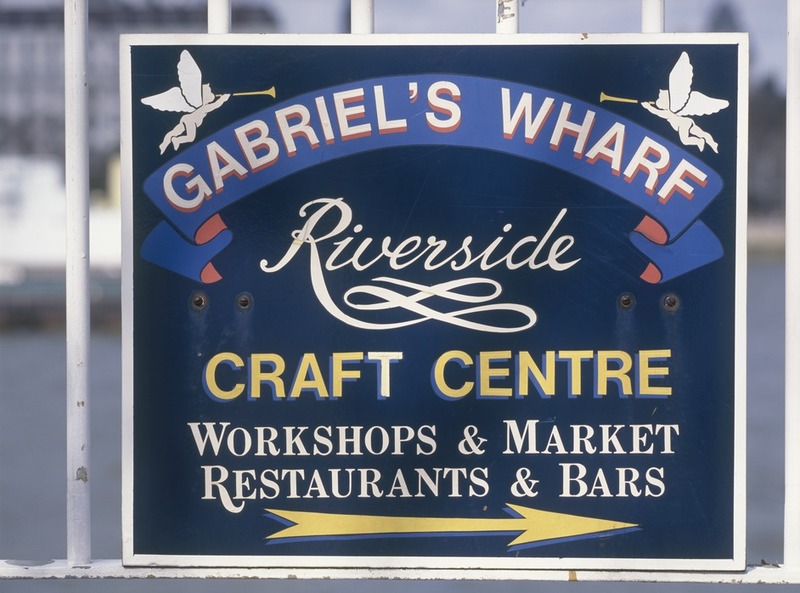 Gabriel's Wharf clubs, bars, cabaret nights, casinos and interesting nightlife. Where to have your meeting, conference, exhibition, private dining or training course near Gabriel's Wharf. From cheap budget accommodation to luxury 5 star hotels see our special offers for Gabriel's Wharf hotels, including Holiday Inn Express London Southwark from 76% off.